When deciding to use a TPA (third-party administrator) to administer your self-funded healthcare plan, the first consideration is often what your healthcare provider network will look like. TPAs can help companies save more money and provide greater flexibility, but what about the provider’s quality of care? A close look shows that TPAs, with their client-centric approach, can offer healthcare provider networks that meet your company’s needs in quality, convenience and cost savings. The decision leading up to which network or providers to use is actually based on a sequence of decisions. First, a company must choose to be self-funded rather than fully-insured. Next, they must opt to select a TPA or an ASO (Administrative Services Only). TPAs give a company options to build and design a plan that best meets the needs of the organization and its employees, and to have more control over payments. As the name suggests, an ASO will handle the administrative services, on the other hand, can have conflicted interests. ASOs may be affiliated with a specific service provider or insurer with an established provider network, so can be limited in what they offer. Physician networks that cover both general practitioners and specialists. Facility networks such as hospitals, rehabilitation centers, imaging centers, laboratories, urgent care clinics and mental health centers. Wellness networks that can encompass anything from fitness, mental health and nutrition to managing chronic illness. At a minimum, a provider network should be comprised of a physician network, a facility network and a prescription drug network. Physician networks are the most important; it’s the most frequent point of contact for employees. Physicians are also the deciding factor for facilities and prescribed medications. Facility networks and prescription networks come next in importance and they also generally incur the highest costs. While vision, dental and wellness networks exist, on a relative basis, they receive substantially fewer claims. The choice of whether to access an existing provider network or create your own is generally clear-cut. Most companies will select to participate in an existing network. Creating a network can be very time consuming and labor intensive, thus very few companies take this route. Companies that elect to create their own network typically have thousands of employees concentrated within a single geographic area. A PPO (Preferred Provider Organization) gives plan participants the flexibility to go to any doctor or facility without a referral. However, by staying within network, participants see significantly greater savings and lower out-of-pocket expenses. 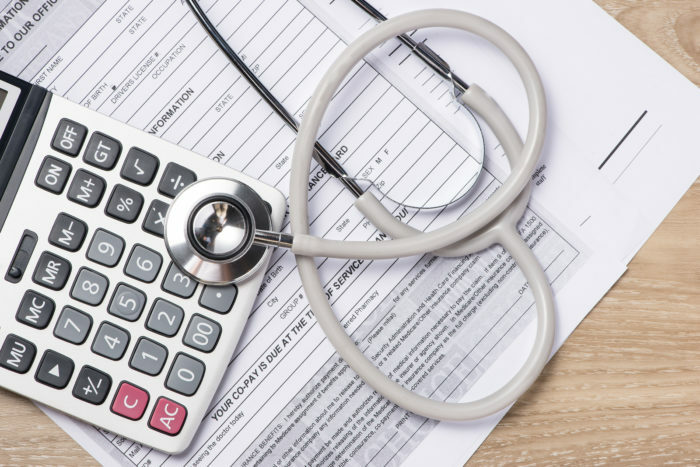 Participating providers have agreed with an insurer or a TPA to provide healthcare at reduced (i.e., preferred) rates in exchange for member steerage and elevated payment terms. A TPA’s value comes in helping companies select which PPO network to join. Multiplan, PCHS and First Health are some of the largest national physician PPO networks. There are also regional PPO networks, such as Midlands Choice in the central states. In a few instances, TPAs will also offer their own proprietary network. The ultimate goal behind any of these networks is to provide affordable quality healthcare to employers and their employees. Doctors and facilities can and do belong to multiple networks including large insurance company networks, as well as national and regional PPOs. Some geographically concentrated employers are finding a large cost advantage with skinny networks. A skinny network has a limited number of doctors and is exclusive to a few hospitals and facilities. These providers agree to deep discounts because the network can assure a very large volume of patients. Another creative solution is an Accountable Care Organization (ACO), a group of doctors, hospitals and other healthcare providers who come together to give coordinated high quality care to patients. Their goal is to ensure that patients get the right care on a timely basis, while also eliminating waste. TPAs will work with different networks, so just as you should evaluate a few network options, you should also evaluate TPAs. Some may have access to networks that others don’t have. Some may have a better relationship to the same networks. You need to look at the entire picture of TPAs and their networks. Demographics – Geography, age, gender, race and ethnicity all play a role in determining healthcare needs. Claims history – Past claims and chronic illnesses are the best predictor of future claim activity. Geographic coverage – Make sure there is sufficient geographic overlap between where your employees reside and where the doctors and facilities in a network are located. Clinical treatment outcomes – You don’t just want medical care, you want good medical care. Your criteria should include assessing the networks’ clinical treatment outcomes for the major or chronic illnesses affecting your employee base. Armed with this information, a TPA will shop the networks and negotiate on the client’s behalf. TPAs can help your organization select the right PPO networks – ones that deliver quality healthcare, flexibility and eliminate the costly surcharge that comes with using an ASO or being fully insured. Choosing to become self-funded is a big step, one that, especially with help of a TPA, can offer substantial cost savings while maintaining or even increasing the quality of healthcare. Arthur Jonokuchi is a founding partner and CEO of AdminaHealth LLC. AdminaHealth revolutionizes healthcare expense administration with a scalable self-funding platform that enables companies to work with as many vendors as they want – medical, Rx, dental, vision, wellness and other voluntary benefits — without increasing the administrative burden on the HR team. For more information, visit www.adminahealth.com or call 203-973-7520. To request a demo, contact demo@adminahealth.com.